Why me, Saint Lidwina? : How Can Coaches Promote Themselves? How Can Coaches Promote Themselves? Reader Kristen brought up an interesting point in the "Who's That Skater?" post, regarding Coaches who skate in shows. It was mentioned that the shows might be a way for Coaches to promote themselves, but Kristen noted quite wisely that if ALL the coaches did that, there would be no room for the kids. Again, I already assume a coach can skate fairly competently. But this is going to be a shocker; I'm not really paying for skating ability. I'm paying for a Coach's ability to teach my child. And my child is different from other children, so I have to make sure I have a good teaching method match compared to other Coaches teaching methods. Not only that, but I have to make sure that these two get along. If this is these people's livelihood, how are they advertising themselves? How are they getting more kids to their stable? Back when I "hired" Coach Y, I asked her on the phone, "Which one are you?" "I'm the one in the yellow coat. You've seen me." The way I understand it, Coaches get visibility in the Group Classes. They can see the kids and parents, so when the kids want a private coach, the parent has some idea of who to talk to. (Provided the parents know that, yes, you can talk to Coaches you have a fondness for.) This relies on Coaches actually being in Group Classes, being on their best behavior in Group Classes, and maybe stopping to chat with Parents in a friendly way before rushing off. This is a fine way to get yourself seen. And then there are the Secret Coaches, the ones you only learn about from hanging around the Rink long enough and asking enough questions. The Coach who only works with adults but is really cool, the Coach who is renown for his choreography, the Dance Coach, and the Jump Coach who may as well be on a gilded litter, pushed around the ice by a pack of Pre-Alpha Servant Kids. How do they promote themselves? Working in Sales, I know Word of Mouth Advertising is great. But how do these people get the mouths going? If anyone asks me about Coaching, and how I feel about Coach Y, I say she's tough but she gets the job done in a caring way. If they feel their kid can handle it, go for it. So yes, I will freely promote Coach Y. But I also promote other coaches, too. "This Coach is great, that one works well with the littler ones, this one might be a good fit for your kid, that junior Coach is fantastic, avoid that one because she seems to be a changeling of some kind, stay away from that bunch," and so on. But I can't imagine running a business based on Other Parents talking about me. I know how I can talk about people sometimes. I am rolling in laughter at this one! I think our rink will do this sort of thing- you tell the front desk you want privates, they put a note in the coaches room. I've seen those notes stay for 2-3 weeks at a time though, so apparently the coaches ignore them. I think you have to approach a coach directly, while they are speed walking in invisibility cloaks back to the coaches room after LTS, if they even get off the ice at all. When I taught LTS, I usually talked to students after class, and was approached quite a few times for private lessons during that time (I don't teach privates). I also promote all the coaches when asked, I explain what I like about each coach, and generally try to keep the negatives out. But the positive usually shows what the negative is "He is very serious, and demands hard work" (um, this coach is tough!) "He is a fun coach" (the kids will love skating, but their technique is going to suffer.) Then again, new parents may not be able to read through those lines. One coach at our rink has business cards, and hands them out liberally. He also wears a "coach" jacket on public skate, when it is cold enough to do so. No surprise, he has a stable of skaters. I have to agree - coach's ability to skate is not necessarily indicative of an ability to teach others to skate. We have one coach who wins multiple events at adult nationals each year, who has many students, but they do not seem to improve much from year to year. Another coach, who is older and has a bit of difficulty getting around, has produced some fabulous skaters. Of course, due to political nonsense going on at the rink, older coach just got fired and national champ just got a promotion. So, well, there's that. The marketing strategies of skating coaches really confuse me to no end. The "gag rule" and subsequent "mind your own business" attitude were totally shocking. Heck recommending a coach to someone else can get him / her into trouble, really? I've seen a coach from our rink passing out business cards after public skating (at another rink) and engaging in conversations with skaters. Another coach also has notepads with his contact info. But all these plus words of mouth seem really "subtle" compared to the aggressive marketing of the outside world. Technology does not seem to have much impact. I thought the rink wiki would provide a good PR tool for coaches or at least list their contact info. But in hindsight coaches probably were uncomfortable with a site that may or may not get them into trouble / cause bad feelings among staff. I actually wonder to what extent does Xan's brilliant blog help her recruit local clientele? IMHO to sign up a large amount of students for the end of summer exhibition is an excellent marketing strategy. The coach basically showcases that s/he has more "competitive" kids ---- with a few exceptions, skaters who train for a program are more likely to actively compete / test / audition for ice show, and in turn sign up for more lessons. 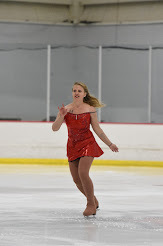 Being ISI, our rink has many recreational FS skaters who do not compete, and may or may not have a program to music. Luckily I have encountered two GREAT teachers through group lessons, to an extent that deciding whom to approach for privates was really painful. Just had Xan in group lesson for the first time and she is absolutely awesome!! I love professional coaches who are talented at teaching, and always hope to get them more business. But what is a good way to do it? The strict PSA rules really don't help, of course it is my opinion that the PSA really only cares about the coaches, skaters be damned. We had a coach at our rink offer a free lesson as part of a fundraising raffle and the outcry was tremendous. Other coaches went nuts. Now that my skater wants to start coaching to raise some money to support her "habit" we have had a horrendous time getting that word out, heaven forbid we publicize it in any way. I can't even post it on my facebook page or tell my friends for fear of violating the code of ethics. Maybe PSA needs to take a closer look at what they are enforcing. I understand that coaches can be very underhanded in how they get new students (we have had experience with that as well and it was brutal, painful, and ugly) but when I tried to file a complaint with PSA they didn't want to hear it. I have no doubt however that they would be right on top of me if I wrote a status on my facebook about her coaching. If it sounds like I am a bit bitter, I am. We have had a lot of garbage thrown at us the last couple of years and it has taken a toll on her, and if your kid is sad, well, there is nothing worse as a parent than not being able to fix a problem! Thankfully the garbage was really not at our rink, so she has a safe haven there. It is just so wierd that coaches can't "advertise" beyond what their students do. That may or may not be accurate. As just a recreational skater, I've watched from the sidelines. And because I'm adult I've heard some awful stories from some of my coaches. The question was 'how do some of those coaches advertise?' My opinion is that a number are unscrupulous in their observance of PSA rules. At one rink I was at we had a coach from Europe who talked about her 'certifications'. It turned out she had been a skate technician. Or another coach who manipulated her child students and their parents to bring in other kids under her umbrella. Or the coach that gives praise with the left hand--subtly done bad mouthing other coaches. The coaches that abide by the rules, they have very little way to respond. I've seen a skating director quivering with rage over a coach's action, and yet she felt unable to do anything. And the kids are no better. As soon as they decide to leave a coach it goes on FB, and that's how the coach finds out. "The Coach who only works with adults but is really cool"
You mean my coach? Actually he told me he has one student who is a child, but I've never seen those lessons in progress. I don't think you will find many coaches around here who will turn down a student. I'm wondering if I am correctly identifying choreography coach and jump coach. *Promotion*--Allowed. Means generally letting people know that you teach. It is absolutely within your rights to announce on Facebook, on open rink bulletin boards (if allowed), or by letting people know face to face that you teach. As long as you preface all conversations with "are you currently working with a private coach" you are covered. *Tampering*-- Not allowed. Means seeking to undermine a coaching relationship for your own or another's gain, or just for shits and giggles, for instance by engaging in gossip about a coach, inappropriate comments on a given skater's abilities (either praise or criticism). *Solicitation*-- Not allowed. Means actively seeking to acquire a student who is already working with another coach. This is the one that parents run up against when trying to research a change. The PSA says the new coach IMMEDIATELY has to tell the current coach that the conversation has happened. I think it should be private until the parent has reached a decision. I would like once again to point out that PARENTS AND SKATERS ARE NOT MEMBERS OF THE PSA and therefore are not bound by its rules. In fact, non-member coaches are not bound by its rules. "It's not how long you're here..."
So, just what happened last week? Two Firsts and a Mystery!